This chapter will consider the history of whale and dolphin watching as a tourism activity, based on visitors’ experiences. The analysis was based on 468 visitors’ comments on a familiar travel forum under the four categories developed in Ballantyne, Packer and Sutherland’s research in (Tourism Management 32(4):770–779, 2011b). These categories are sensory impressions, emotional affinity, reflective response, and behavioural response. The comments were analysed using a content analysis method. It was found that the behavioural response dimension reported by visitors was lower than the other experience dimensions. 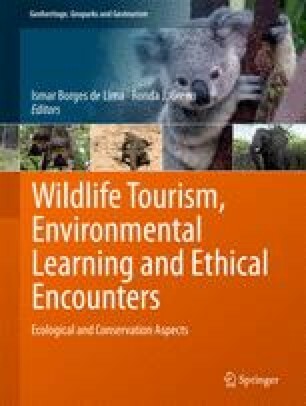 The study concluded with some suggestions for both business owners and wildlife tourism researchers.